Dennis Jr has been working as a producer since early 1990's. He released a 10" on the legendary Jazid Collective label in 2001, before starting his own label, Akustikk Recordings, where he has released several EP's of his own music. 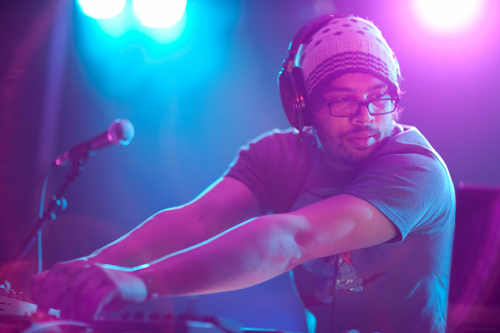 His music has a strong rhythm focus, and spans from dub via nu-jazz and nu-soul to future/cosmic disco and house. On his debut album “Elektro Donkey” he has collaborated with the legendary nigerian jazz sax player Dennis Otone (who at an early age had the opportunity to play with legends like Fela Kuti, Lloyd Baker, Thad Jones, Stan Getz, Manu Dibango and B.B. King), and his sister Christabelle, known for her album “Real Life Is No Cool” along with Hans-Peter Lindstrøm. “Elektro Donkey” will be released in the autumn on Beatservice Records. Check out his Akustikk Recordings webpage here.